The Harris County Sheriff’s Office is the largest sheriff’s office in Texas and the third largest in the United States. 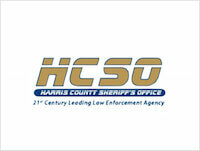 HCSO has over 4,000 employees responsible for the safety of nearly 4 million residents in Harris County. 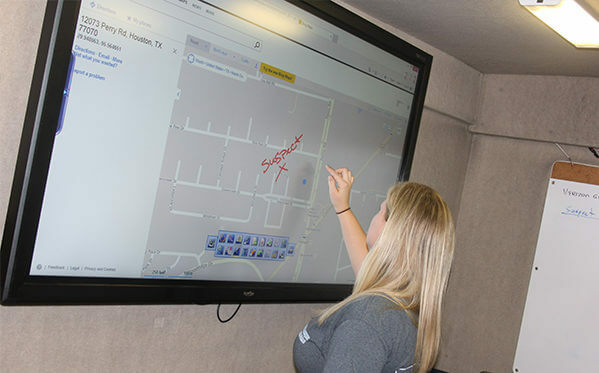 The Harris County Sherriff’s Office needed to move from antiquated white boards to a product with state-of-the-art technology and street-level toughness. 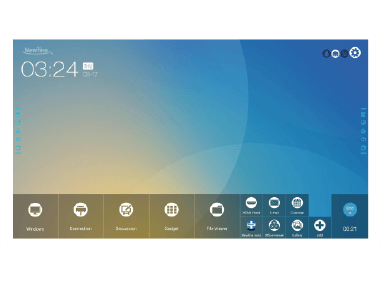 The perfect display would be interactive,with the ability to annotate over any situation, from Google Maps to Task Force agendas to aerial shots captured for operation planning. And, whatever was purchased had to be easy enough for any officer to use. 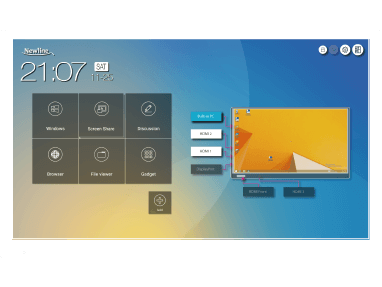 Multiple, 65” TRUTOUCH interactive displays were dispatched, loaded with the award winning IdeaMax software. The commercial grade durability allows these displays to operate in a mobile environment,so the Harris County Sheriff’s Office can take critical training on the road. The cutting-edge touchscreens were installed to replace antiquated whiteboards. 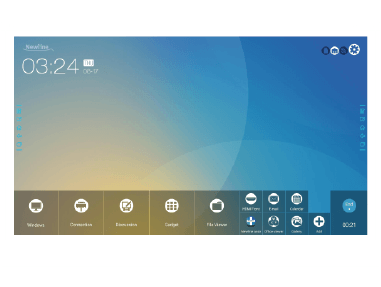 Newline’s state-of-the-art system allows internet access, mapping, annotation, printing, emailing, and video conferencing from a single interactive screen. The Harris County Sheriff’s Office has been truly thrilled with Newline’s solution. The HCSO utilizes Newline’s product as part of their Mobile Command Center. Sergeant Bryan Rudel states, “We utilize this equipment quite often as a mobile command post unit providing support. From a simple public event, to the high-stress SWAT scene, Newline’s displays have made each task much more simple and intuitive.” Additionally,the HCSO was awarded the 2015 Nat’l Technology Leadership award from Association of Public-Safety Communications Officials (APCO) during their annual Conference as a direct result of their huge technology upgrade to their Mobile Command fleet.